Despite its Silicon Valley address, San Mateo is tops when it comes to families. 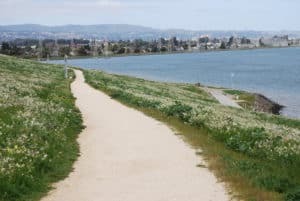 The options are endless for kids of all ages at Coyote Point Recreation Area, on San Francisco Bay. The area includes spots to fish, sail, boat or windsurf. There’s also a magical playground, plus the chance to view wild animals and natural history at CuriOdyssey. Enjoy the weather on the rocky shores of Coyote Point Beach, while listening to the crashing waves. 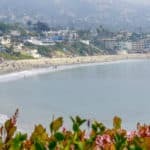 Keep reading our San Mateo travel guide and start planning your vacation to beautiful San Mateo CA. For all the great area beaches, click here. Average temperatures in San Mateo vary little. If you’re looking for the very warmest time to visit San Mateo, the hottest months are July thru September. The warmest time of year is generally late August to early September where highs are regularly around 78°F with temperatures rarely dropping below 57°F at night. The busiest time for tourism in San Mateo is from June thru August. Prices for hotels and flights will be most expensive during these months, though you can save if you purchase well in advance. 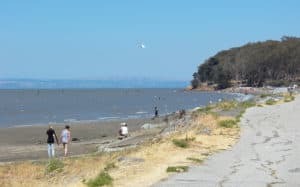 The recreation area has an 18-hole municipal golf course (Poplar Creek Golf Course), marina and yacht club, family-friendly nature museum called CuriOdyssey, walking trails, beachfront promenade, huge playground, and a grass park with nice amenities. 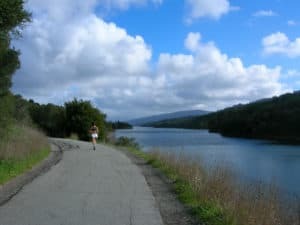 Located within the Crystal Springs Regional Trail, Sawyer Camp Trail is the most well-known. Spanning 12 miles along the San Andreas Fault, this trail is incredibly beautiful and a breath of fresh air among the heavily populated cities. Whether it’s a bike ride, hike, or a simple walk along the path, Sawyer Camp Trail provides a stellar backdrop to enjoy the outdoors. 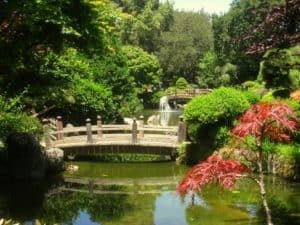 The Japanese Garden, in San Mateo Central Park is one of the finest gardens in California. It was designed by landscape architect, Nagao Sakurai of the Imperial Palace of Tokyo, and features a granite pagoda, tea house, koi pond and bamboo grove. The Japanese Garden is beautiful throughout the year, but be sure to visit in the late Winter and early Spring when the cherry blossoms are in bloom. Sorry no dogs are allowed in the Japanese Garden. Seal Point Park includes a multitude of pathways for walking, cycling, bird watching and a 3-acre dog park. See Dog Park Rules & Regulations. You can walk the boardwalk along the Bay Marshes where you can observe wildlife – including the endangered California Clapper Rail. 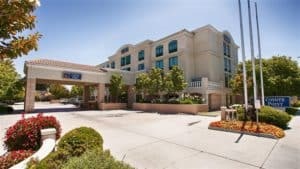 Located in San Mateo, Hilton Garden Inn San Mateo is minutes from Mariners Point Golf Center and Parkside Aquatic Park. Make yourself at home in one of the 157 air-conditioned rooms with refrigerators and microwaves. 37-inch flat-screen TVs, complimentary WiFi, private bathrooms with shower/tub combinations, and an outdoor pool, spa tub, and a 24-hour fitness center. For more information, pricing, or to reserve your room visit the Hilton Garden Inn San Mateo. The Best Western Coyote Point received a TripAdvisor Certificate of Excellence. Built recently, it boasts modern décor and numerous attractive amenities, including free wireless Internet access, a deluxe steam room, a business center, and meeting and conference facilities. In your room, you’ll find an extensive lineup of 72 TV channels. Complimentary breakfast each morning is also included. For more information, pricing, or to reserve your room visit the Best Western Coyote Point Inn. Spacious suites with separate living and sleeping areas, fully equipped kitchens, and free high-speed Internet access provide guests the perfect extended stay accommodations. For more information, pricing, or to reserve your room visit the Residence Inn by Marriott San Mateo. 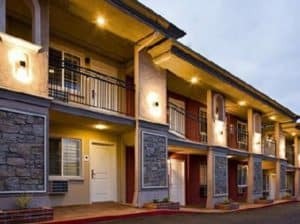 This budget friendly San Mateo hotel provides a variety of amenities you would expect while away from home such as free Wi-Fi, free parking, 24-hour front desk, fax/copy services, 39 inch LCD TVs, free local calls and voicemail, free wake up service, and more. For more information, pricing, or to reserve your room visit the Stone Villa Inn. Urban Flat Studio Apartments @ Park 20 provides free WiFi and a fitness centre. Guests staying at this apartment have access to a fully equipped kitchen. The apartment consists of 1 bathroom and a living room. Private parking is available at the apartment. Guests can make use of the hot tub. 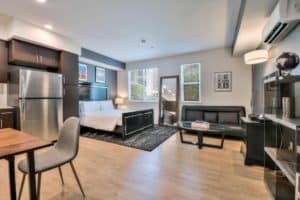 For more information, pricing, or to reserve your stay visit the Urban Flat Studio Apartments @ Park 20. 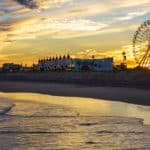 Wow, this is a very detailed post for anyone who is interested in visiting San Mateo. And I must say that even people who weren’t interested in vacationing in San Mateo would be after reading this beautiful review. There is so much to see and so much to do. The Japanese Garden is especially very beautiful and attractive and the Fly Bay Area offerings are also a must. Who can resist the offer to experience the view of beautiful skylines,well unless those with fear of height of course. This is an awesome piece you’ve written. You did justice to San Matteo. Thank you 🙂 I am glad you enjoyed! Please come back and visit beach travel destinations when you are ready to plan. You are welcome. And you and your wife will be in awe, San Mateo is beautiful! San Mateo is a place to settle down. It has everything you need to enjoy yourself and is still big enough to find work. The surrounding are super pretty and diverse! Restaurant and night life sounds lively as well. I’m not into golfing so I guess my place to go to would be a Seal Point park. The temperatures are pretty moderate and perfect for living as well.. wounder if they get a lot of rain? They do not get a lot of rain 🙂 You’ll have to head further north if you want to get substantial rain. Yes, I agree that it is a perfect place to live for sure. I am kinda bias though. Thanks for visiting my San Mateo Travel post. This is a very good article that was articulately put together! 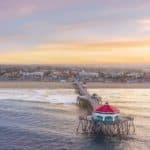 I love beaches and I have been to many in recent years but your article on San Mateo is captivating! The Japanese Garden, in San Mateo Central Park is one that caught my eye. I must see it during my June holiday season. I must take my wife to the this beach this year. Maybe I can convert her to beaches lover like myself here because of the beauty. what is special precaution here? No need to worry about any precautions here or places to avoid. You will be able to enjoy yourselves pretty much care free. Just take the normal precautions you would when traveling anywhere. I am glad you enjoyed my San Mateo Travel post! Whao, I am exited and i don’t think i can hide it any longer. Great, you will love the whole San Mateo County area! Please let me know if I can help in any way with your travel plans. San Mateo CA is really beautiful at least from the pictures. Have me hoping winter ends a lot quicker so I can chill out at the beach with my family. Looking forward to visiting curry up as I love burritos. Quick question though, is this beach pet friendly? cos I’ll hate to leave my pets behind. What a great way to celebrate your birthday! Please let me know if you need any additional information. Thanks a lot for the informative and insightful travel guide. To be honest I love beaches and I love to travel. My mom use to tell me when I am a child I will cry and pray to GOD asking “Dear GOD please bring the beach to my city” Lol. That much I love beaches (Beach is 200 kms far away from where I live). Heard a lot about San Mateo and your travel guide gave me great insights. And while reading your guide I felt like I am in the San Mateo and the images you shared are awesome. The 3.50 minutes video you embedded is super helpful. After reading your guide San Mateo is ranking top on my list. Thanks a lot for the great walk-through. I am bookmarking your guide for future reference. Glad you enjoyed Paul! I love beaches too if you couldn’t already tell 🙂 Thanks for stopping by. O my Gosh! This place is super cute, and I didn’t even know it exist.Looks like one of those places to visit when you want to rest your mind and soul. I think that even without those adventure options it’s still pretty cool place to see. BTW., you provided such a great combination of information. Basically, everything you stated is really useful. And love the pictures too. Thank You so much for putting it all together and sharing. 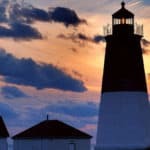 I am glad you enjoyed your visit to beach travel destinations! 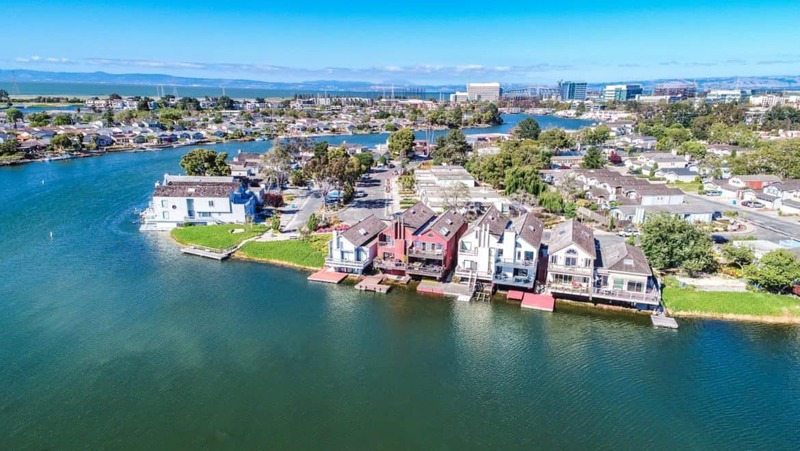 It is a great beach community and I think you will have a wonderful time in San Mateo. Please let me know if you need any additional information. Yes us moms do worry. But no worries in San Mateo. She just needs to take the normal precautions any young lady would take when traveling 🙂 It is really a beautiful area and her and her girl friends would really enjoy . Wow! Another beautiful place to visit! More gardens, trails, wines, and night life adventures to explore. Right up my alley! I would really like to see The Japanese Garden, in San Mateo Central Park. Sounds beautiful. You are so welcome Devara! Thank you for visiting my San Mateo Travel review. This little area just south of San Francisco can get you to a lot of places quickly. I like to try the Curry Truck, as this is something that I have had several trips to the west coast. The location is good for getting around in this area, are there any budget hotels in this area. Thanks for visiting my San Mateo Travel review John. Yes, the best budget hotel with a good rating is the Los Prados Hotel. This is going to be your best bet 🙂 Please let me know if you need any additional information. I have been waiting this whole winter for warm days to come so that I can just go out to the beach and chill. you have laid out great options on your site regarding beach destination. I guess I don’t need any more research for my travel destination as you have nicely detailed everything one need to know. Is San Mateo Japanese Garden good for toddlers? Coz I have a 3 year old and sometimes it’s a challenge if a place is not child friendly. The Japanese gardens is kid friendly and your toddler will enjoy 🙂 I think this is a great family destination for sure. San Mateo seems like a place I would enjoy visiting. You covered San Mateo and its activities, hotels, and restaurants very well. Your article is laid out very well and you have a nice website. You cover your topics very well. Thank you Danny! 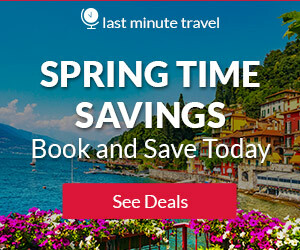 Come back when you are ready to start planning! Another mind blowing destination! I’m impressed by the looks of the city, their beaches and the Japanese garden. Can’t wait to visit San Mateo!! Great read, Leahrae!! Thanks Effie! Glad you enjoyed!